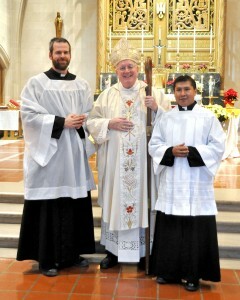 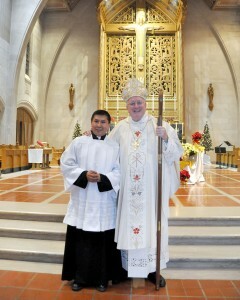 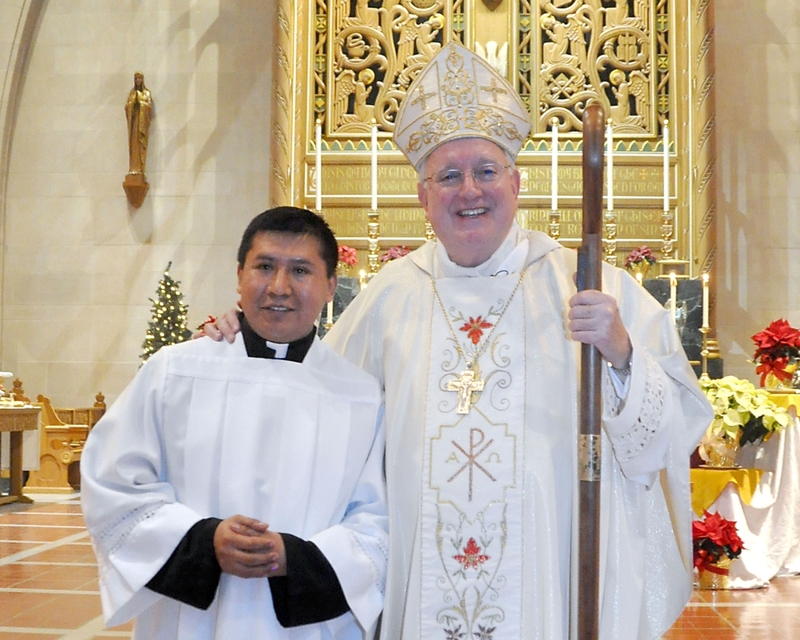 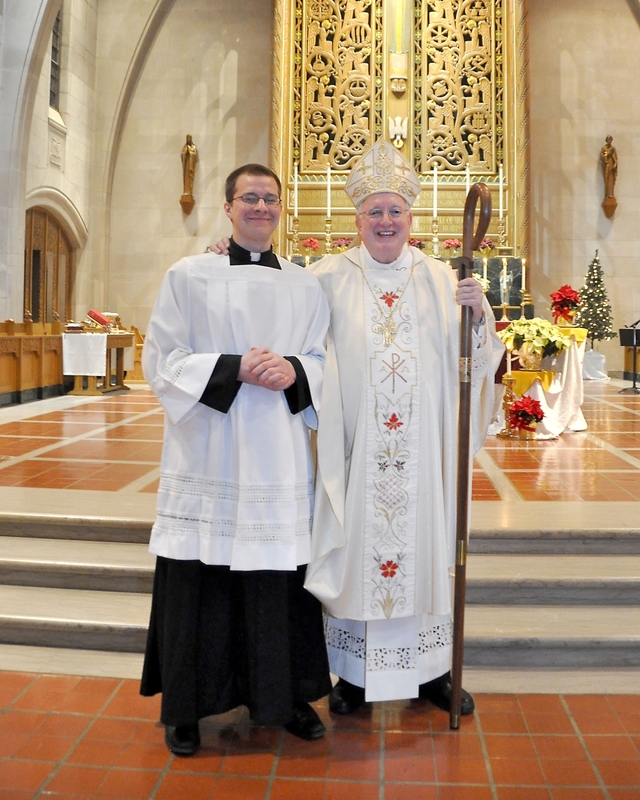 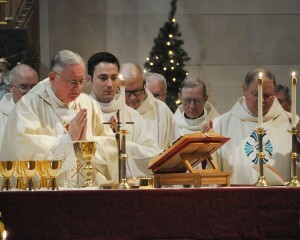 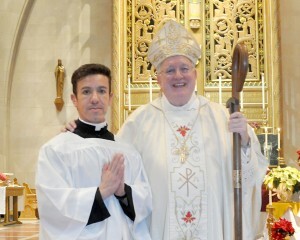 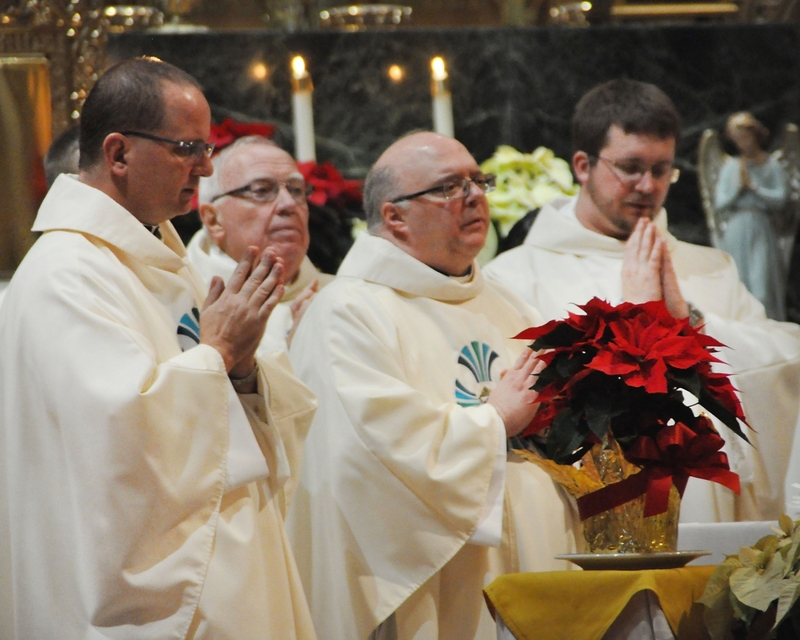 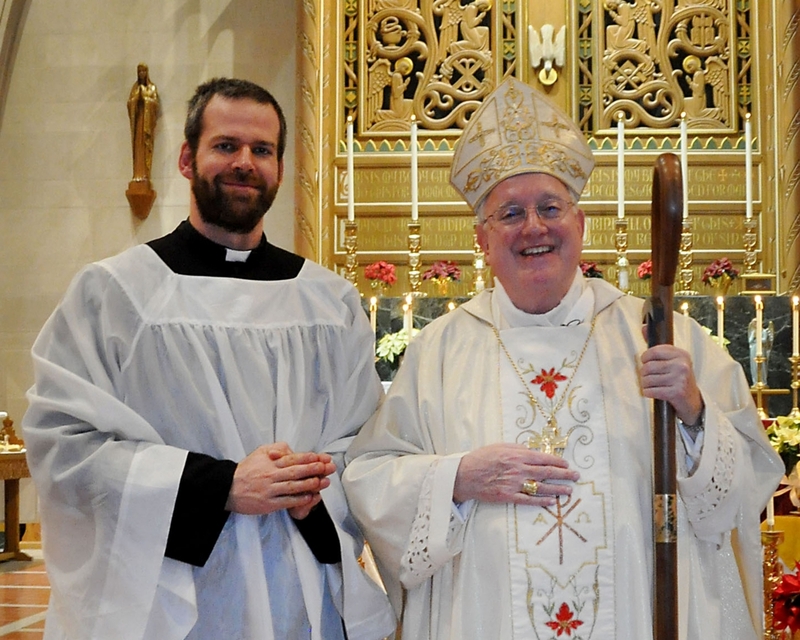 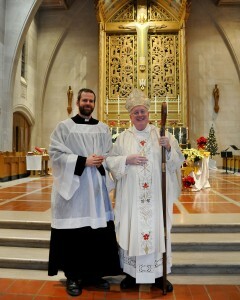 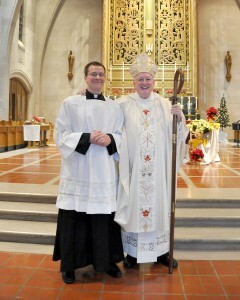 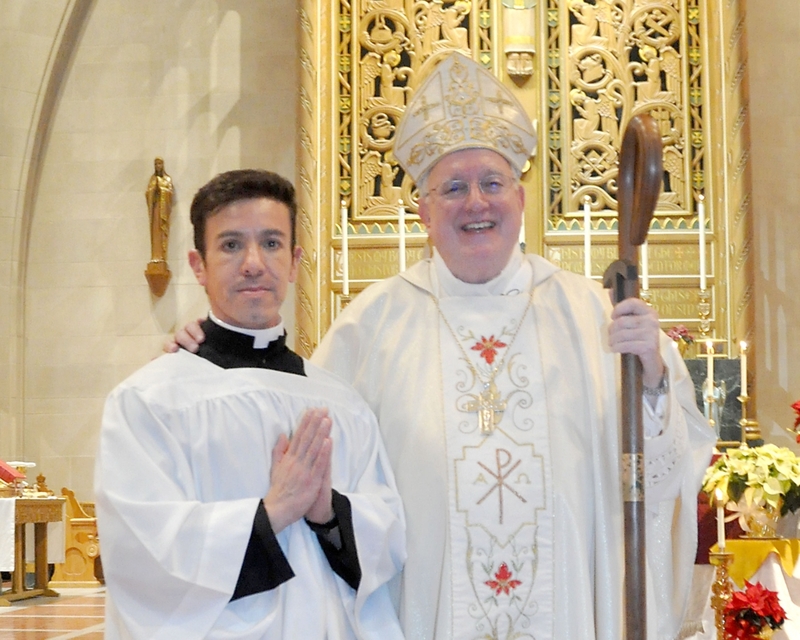 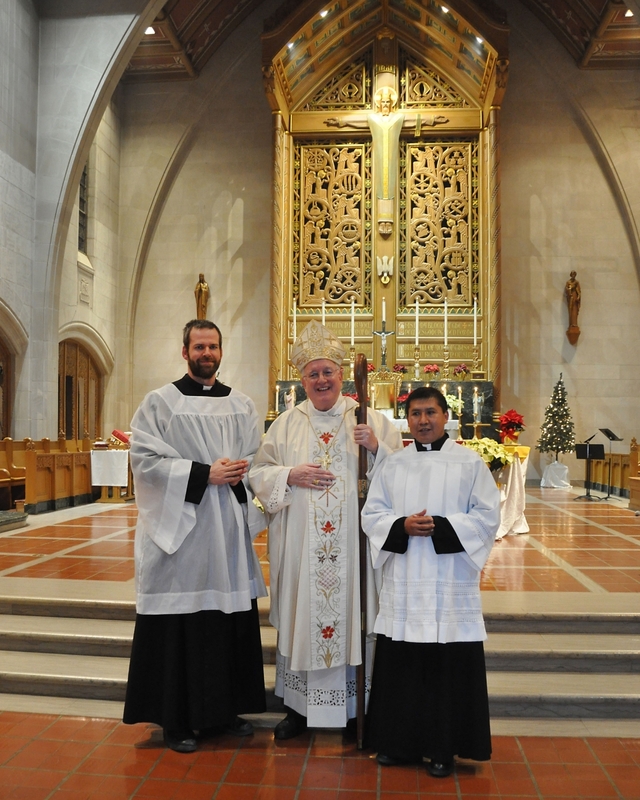 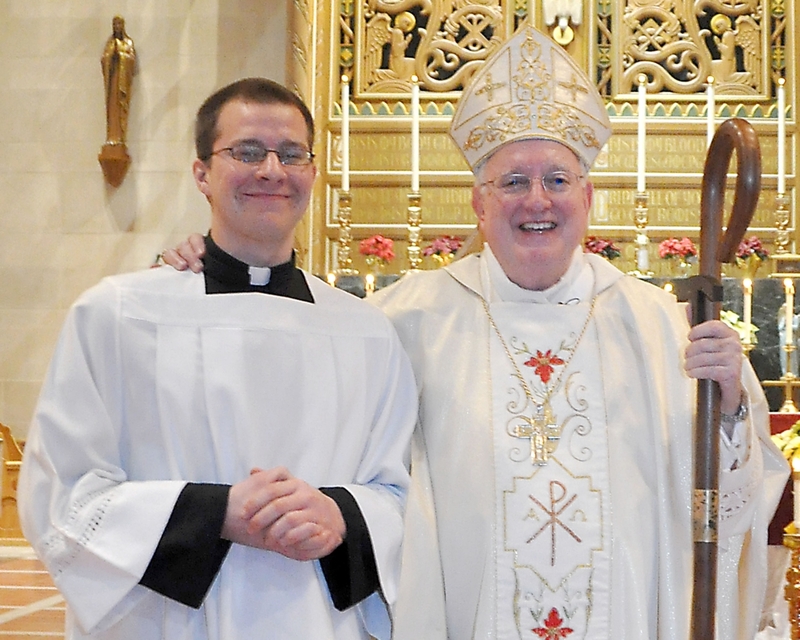 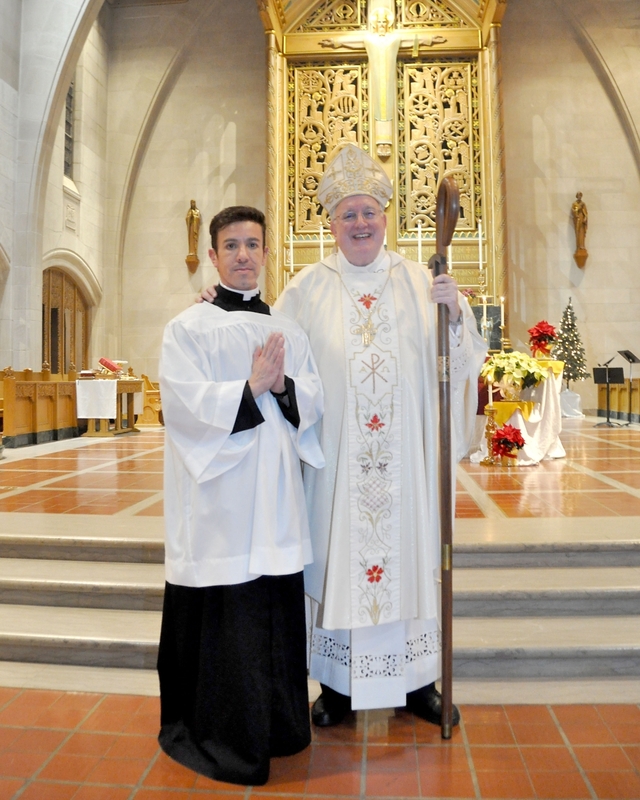 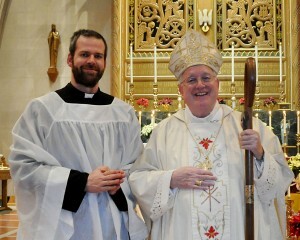 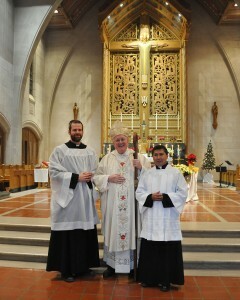 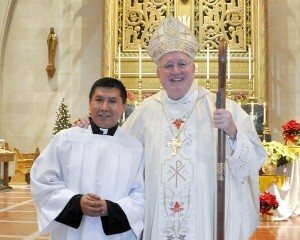 Matthew Canter (right) and Juan Pedro Roblez Baltazar (left) are being instituted in the Ministry of Lector on Dec. 30, 2015, by Bishop Callahan. 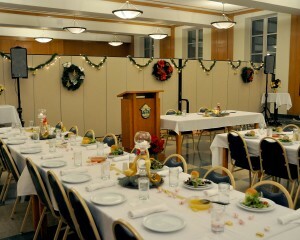 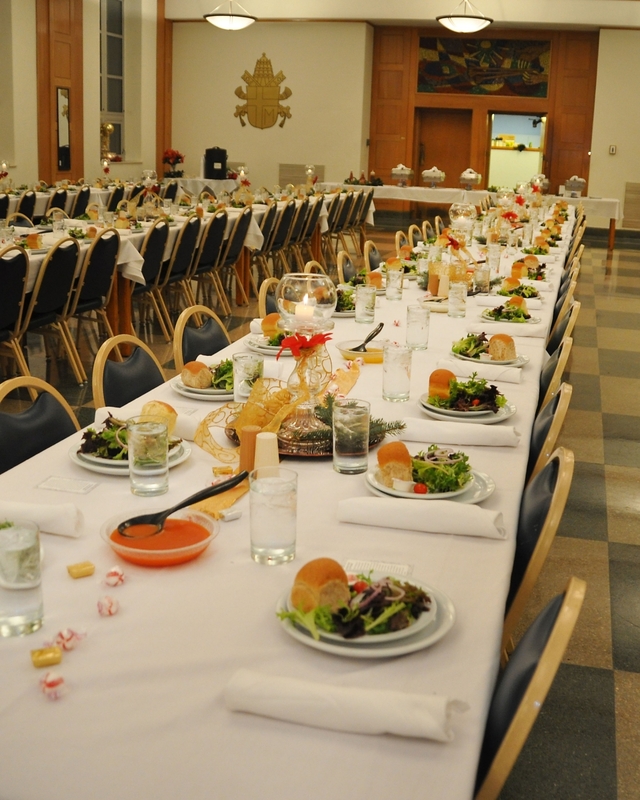 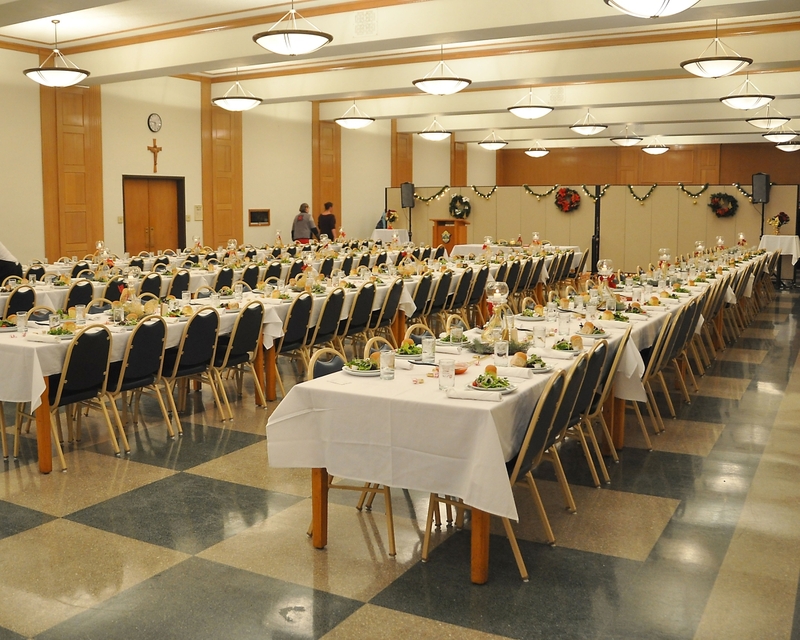 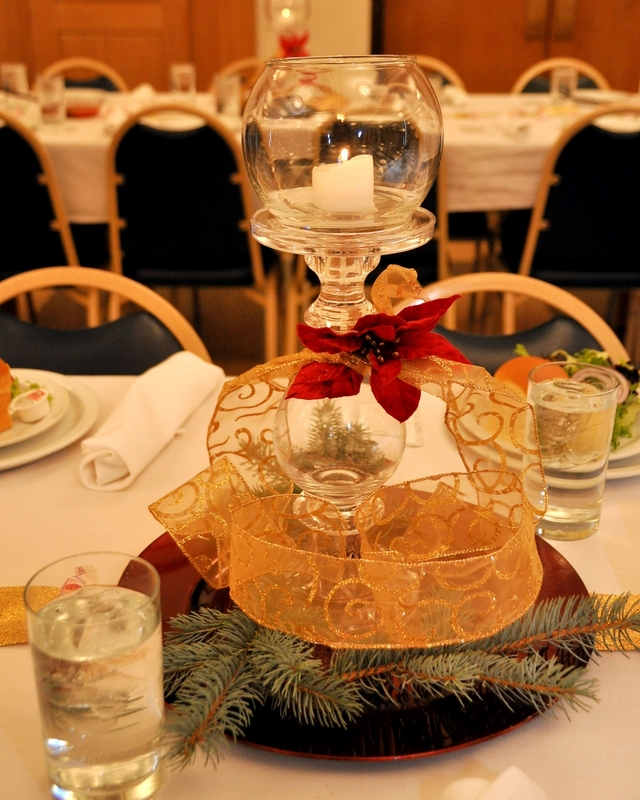 What is the Ministry of Lector? 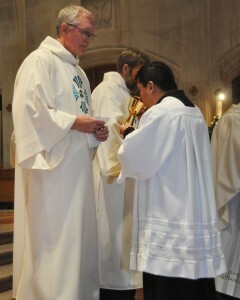 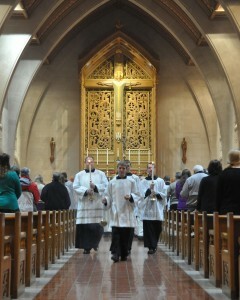 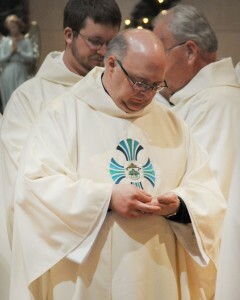 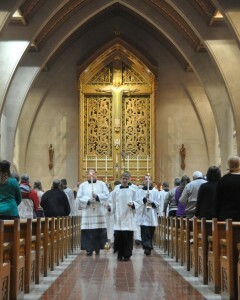 A lector is appointed to read the word of God in the liturgical assembly. 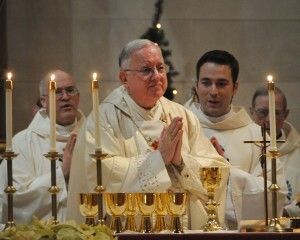 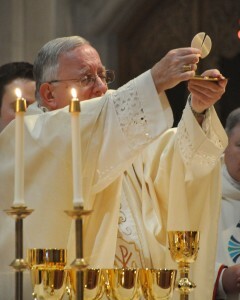 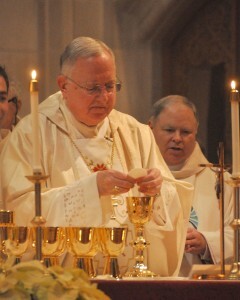 Accordingly, he reads the lesson from sacred Scripture, except the Gospel, in the Mass and in other sacred celebrations; recites the psalms between the readings, in the absence of the cantor; presents the intentions for general intercessions when the deacon or cantor is absent; and may also direct the congregation in song. 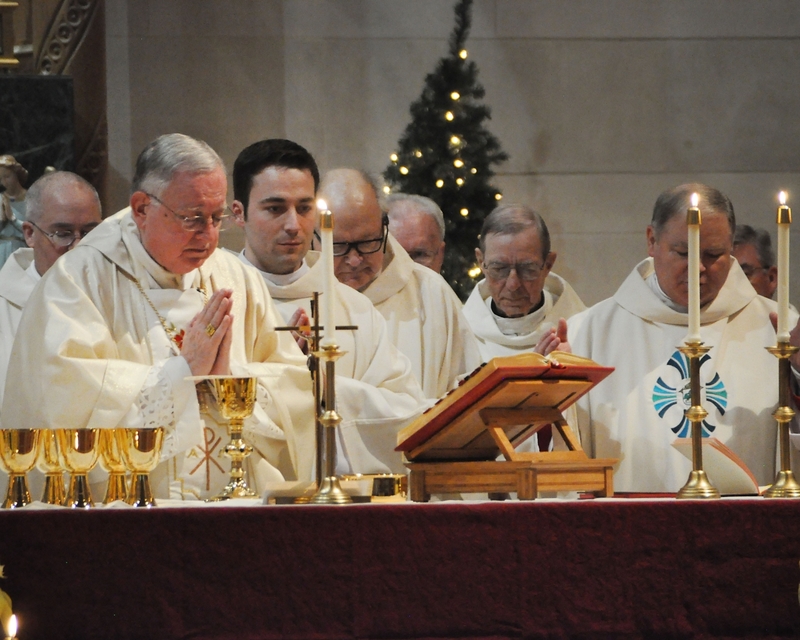 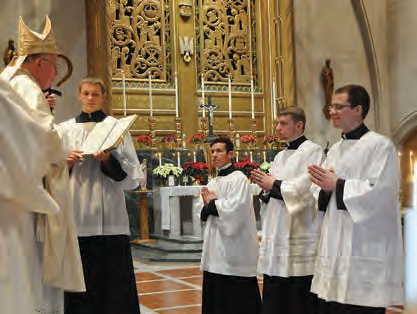 If necessary, he also assumes the responsibility of instructing any of the faithful called upon to read the Scriptures in any liturgical celebration. 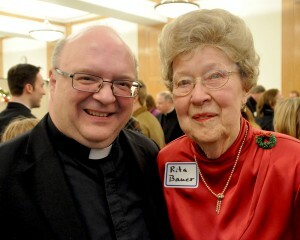 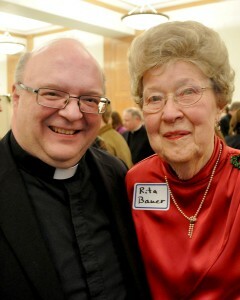 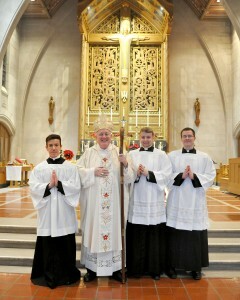 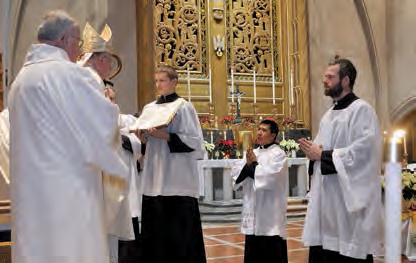 What is the Rite of Admission to Candidacy? 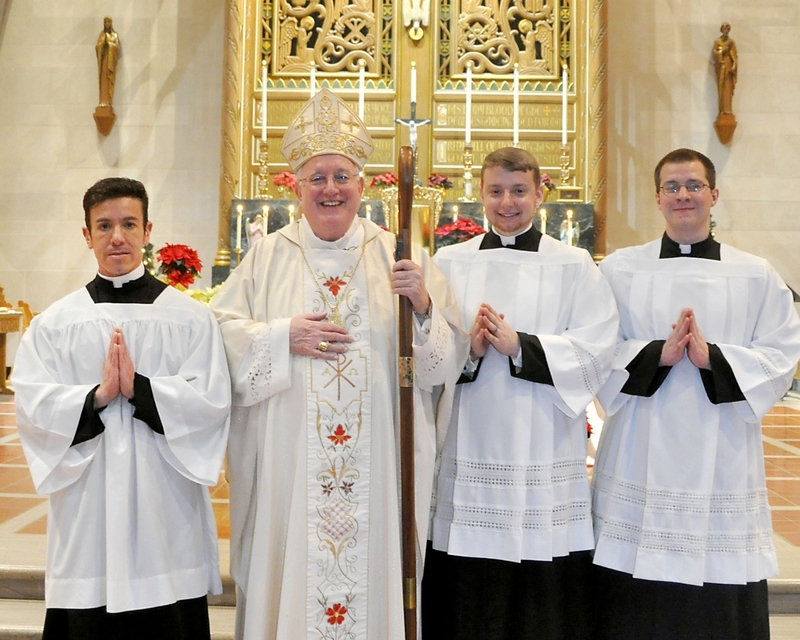 The rite of admission to candidacy publicly expresses the intention of those aspiring to holy orders to complete their preparation and to be bound in holy orders for the service of God and mankind. 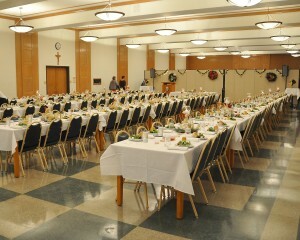 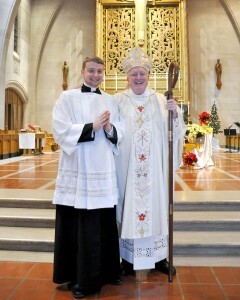 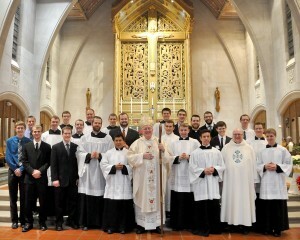 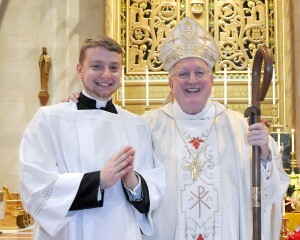 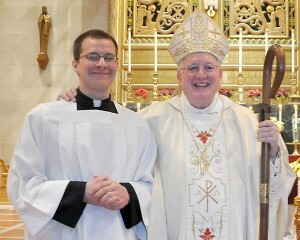 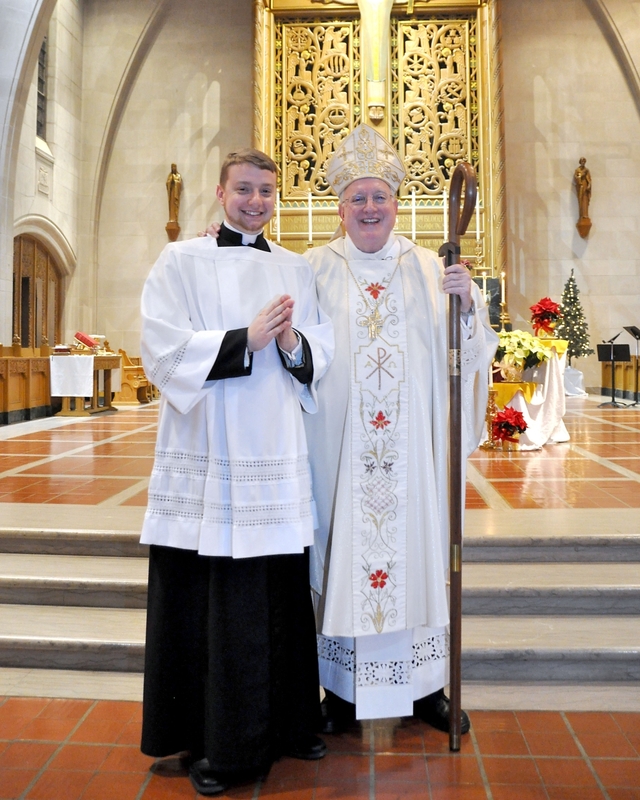 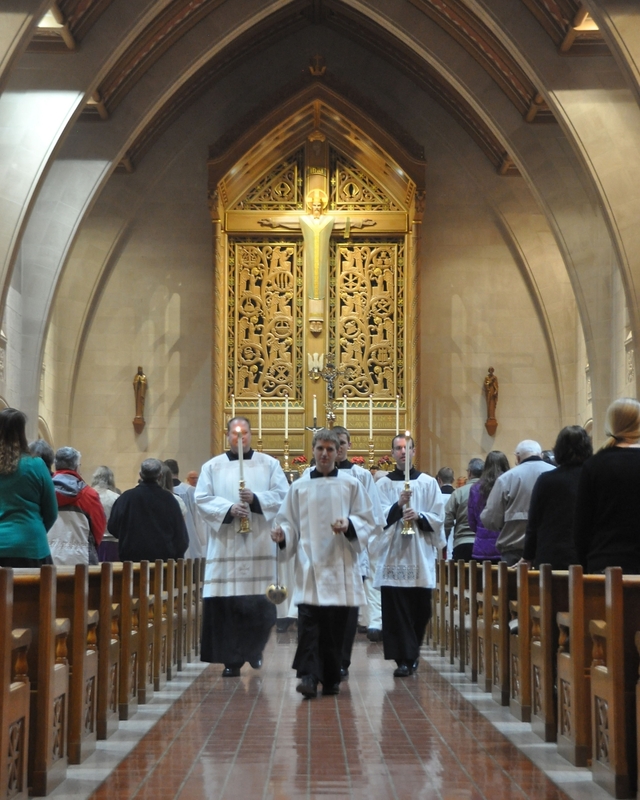 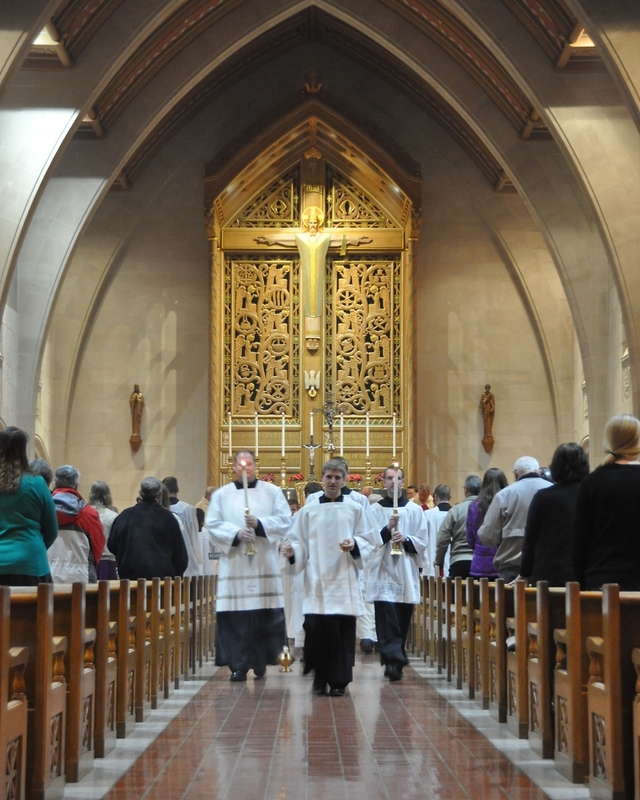 In the La Crosse Diocese the rite of admission to candidacy takes place prior to a seminarian entering his first year of theological studies.